It is Craft & Create Cricut Challenge day. This day is when several fabulous bloggers bring there best ideas to share with you. We are thinking LOVE! Our theme is Valentine's Day this month. I've got a great heart garland tutorial for you today. If that is not enough excitement I gave YouTube a whirl. The video is even embedded in this post. I am literally smiling while laughing at the feeling of pride over this accomplishment. Last week we learned how to start using the Cricut Maker when I shared the vintage heart garland details. On the many avenues of social media there is one common thread from new Cricut owners. They have either not taken it out of the box or are afraid to make a project. The good news is there are plenty of resources. After selecting your shape, design or project through the Cricut Design Space on your Canvas you will simply follow the prompts on the screen. These two image strips above show you how easy it is to start to finish a heart shaped project with felt. The pink mat is for fabric use only. The rotary blade is also included with your Cricut Maker which cut through felt like Butter! 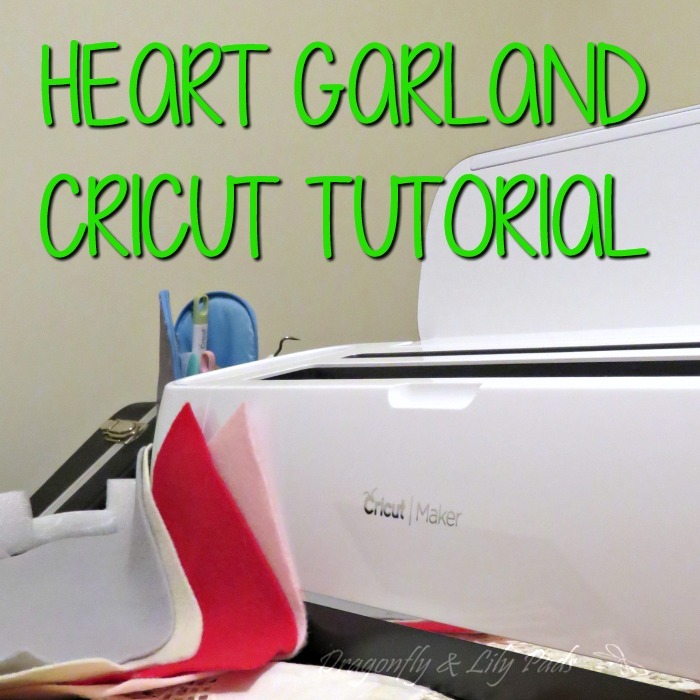 Here is the first video D&LP has embedded for a Cricut tutorial. Subscribe here for D & L P's YouTube channel which is called Tutorial Threads. This Pinterest image will save this post on your boards. Love It = Pin It! The beginning of your post reminded me of the first time I used my Cricut. It was a nightmare. LOL! I told my husband to take it back to the store. I'm so glad he didn't listen to me. Your garland is adorable. Thats awesome how easy the Maker cuts the felt. Oh my gosh! I do not know why it is so scary to take out of the box. Cricut or crickets neither bite! The layered look is so lovely! Great tutorial! It looks like you had a bit of fun with your first project, the little hearts are so cute! The Cricut Maker is fun to use. I am loving it and this little project.